We build, maintain and manage temporary community gardens and growing spaces. Community Garden Builders is a Vancouver-based social enterprise with a mission to transform vacant property into temporary community gardens and growing spaces. 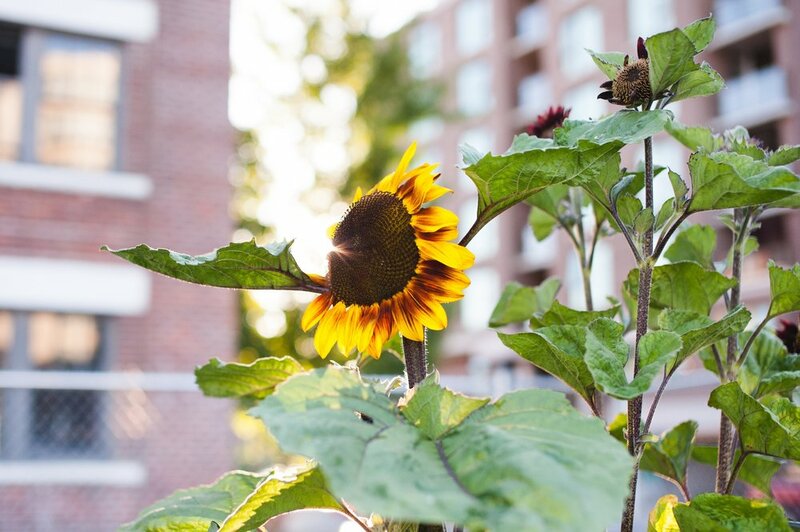 Our projects represent a unique partnership between landowners and community members, providing much needed garden space for the community as well as interim property management for landowners. Using mobile garden beds set atop shipping pallets, we create accessible urban spaces for local community members to grow their own food and flowers. Projects are temporary and have a lifetime of 1-5 years, and we see them through each step of the way: consultation, design, build, installation, community engagement, garden management and eventual garden removal. Our story, mission and how to get in touch. Registration and sign-up for new and returning gardeners. Garden building and property management. See our Gardens page for location, details and photos of all our raised garden projects. Our raised garden beds are made with B.C. Western Red Cedar, cornered with a custom powder-coated (black) hinge bracket and secured with powder-coated (black) durable wood screws. THE ALL-IN-ONE ONLINE COMMUNITY GARDEN MANAGER! Our custom community garden management software is designed to assist Community Garden Managers in running a community garden. The Community Garden App lets your gardeners fill out a custom Sign-Up Form, view the Garden Rules and waiver and pay their annual fees, all from one simple-to-use platform. We send out a monthly garden email newsletter. Keep in touch with each garden at our Garden News page. See you at our Meet-and-Greet and plant sale in two weeks time! We'll be out on Saturday, April 13th at 10 a.m. to host a meet-and-greet event at the garden. This is a great time to meet your fellow gardeners, plant your first seeds and ask us any garden related questions you might have. We're excited to say that our friends from Victory Gardens will be out selling seeds and starts, so plan on taking advantage of their offerings. Rain or shine, but let's hope for sun!